Is my Galaxy S6 compatible with 3rd party wireless charger made by other manufacturer? 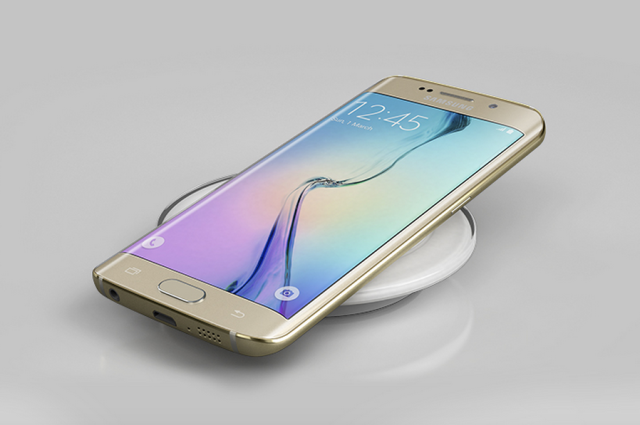 Galaxy S6 device has a built-in wireless charging coil. You can charge the battery using a wireless charging pad. The built-in charging coil inside the wireless charging pad generates an electromagnetic field. This electromagnetic field sends energy via inductive coupling to the induction coil inside the device. And then, the battery of the device is charged using this transferred energy. The Charging pad for the Galaxy S6 series is sold separately and you can purchase it from samsungcanadaparts.com. However, please note that Galaxy S6 and Galaxy S6 Edge support both WPC and PMA certified wireless charging technology. The devices should work with any wireless pad available in the market that supports WPC and PMA standards. However, please read the instructions carefully before using for any Wireless charger used for correct operation. Note: Galaxy S6 series Wireless Charger pad supports the WPC = Wireless Power consortium – “QI” technology . My Clear View Cover sometimes appears dirty due to fingerprints or dust, what can I do?